Searching for a chiropractor in the St. Charles / St. Peters / Cottleville area? You have arrived at one of the most diverse and up to date facilities. 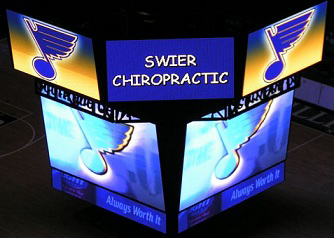 Swier Chiropractic is dedicated to assisting its patients in recovering from their injuries and maintaining optimal health. We believe in the art of healing through physiotherapy and chiropractic treatment. Each patient’s treatment is tailored specifically to that patient’s needs and goals. By using the latest equipment and techniques, patients receive the best care available. The doctor uses some of the most proven treatment methods available such as the Diversified Technique along with several quality therapies.